The remaining four candidates in the city’s 1st Ward special election expressed surprise and bemoaned the demise of Alveria Spencer’s scandal-plagued campaign. “It’s an unfortunate situation and I wish it hadn’t come down to this,” said Manny Martinez. Spencer announced Saturday she would cease campaigning for the November 3rd, 2015 special election following a scandal that had a number of African-American leaders condemn her for using the n-word at a community forum last Monday. “I’m surprised because I know she’s a survivor and a fighter,” said Bernard Jones. Spencer has been fighting another unresolved scandal in which she allegedly underreported her household income to qualify for Section 8 public housing assistance. Spencer was advised to pay approximately $4,000 by the Paterson Housing Authority. She has yet to pay that fine almost a year later. Spencer uttered the word while referring to individuals who hang about city streets to cause mischief. She said such individuals do not congregate and avoid specific blocks when they see a police substation on a particular street. Spencer was making the case for deploying police substations to reduce crime in the 1st Ward. Spencer, who heavily relied on support from city leaders when she mounted an unsuccessful campaign for a school board seat in 2013, ended up alienating most of them with her Monday evening speech. Spencer lost by 124 votes in that election, according to election records. “I know she’s a good person and I’m confident that she’ll be ok. I wish her well,” said Martinez. Insiders have said Martinez has much to lose from Spencer’s exit which will assist Jones and Jackson in a city where voters cast their ballots along racial lines. Rather than a three-way split in the African-American vote, now there will be a two-way split. Jackson came close to capturing an at-large council seat in 2014. 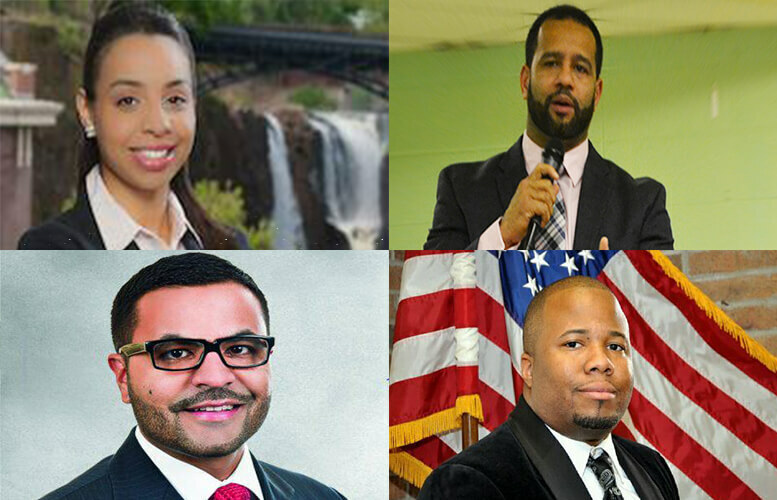 The four remaining candidates are vying for disgraced councilman Anthony Davis’ seat. The winner of the special election will complete Davis’ term which ends on June 30th, 2016. However, in order to obtain a full-term, the winner will be picking up petition a month after securing the unexpired term. “The fact that she came out and apologized that speaks very well about her,” said Ovalles.